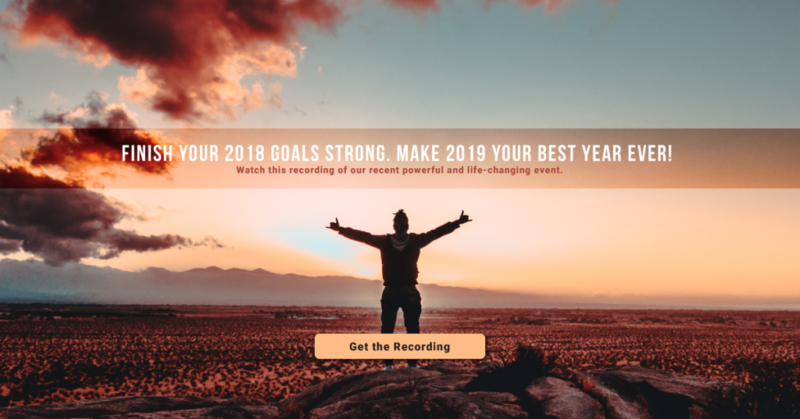 Our recent webinar “Finish 2018 Strong & Set the Stage for 2019 (Make It Your Best Year Ever)” was a huge success. If you haven’t had the chance to view the webinar yet and enjoy learning about how to eliminate negative thinking, you may do so, here. Remember that you have the power within you to remove negative thoughts from your mindset. You can use the Delete Delete Technique that we discussed within the webinar to simply hit delete on negative ways of thinking. When you find yourself with negative trains of thoughts, repeat the mantra “delete delete” to refocus your mind on positives. As part of the webinar, we went into detail on Hebb’s Law and how your brain is wired to link neurons based on your thought patterns. Remember that neurons that fire together wire together, and your negative thought patterns can influence your actions long into the future. Focusing on the positive can give you the presence of mind to take positive steps in the coming years. One of the more common mistakes we make in our daily lives is getting stuck in the idea that without perfection we cannot move forward. You don’t have to be perfect to achieve your goals, simply focus on continual progress. Each small step you make is another move in the right direction. Don’t put pressure on yourself to be perfect. Make progress your ultimate and continual goal and you’ll see the difference the shift in mindset has on many facets of your life. Our team at Coach Monique and Associates is here to guide you in achieving your life’s goals. To learn more about our services, call today! Important: The recorded link is only available for a limited time, so access it now before we remove it.